This unique gem of a teapot was designed by Ann about 10 years ago. It was based on the idea that teapots are normally squat and a bit bottom heavy. So, with the use of slab building skills, comes a teapot that is comprised 3 sides and a bottom, hand shaped and pieced together. 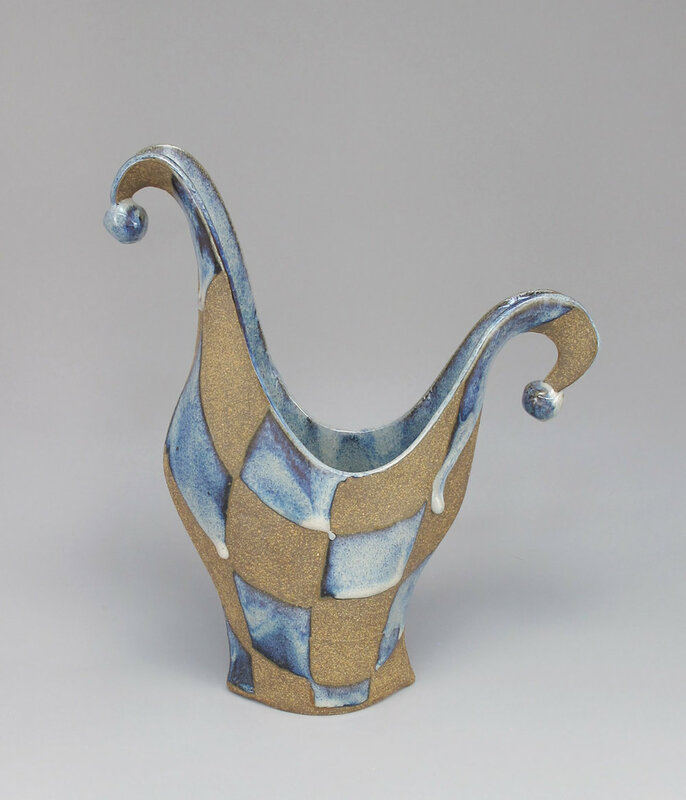 The spout is also made from 2 flat sides of clay, carefully shaped and assembled for excellent pouring. The handle is then attached to provide a comfortable grip. This teapot is meant to be used and adored. It is lightweight, well balanced and lovely to display.